Happy New Year! Help make this dream come true! DreamCatcher is a quality youth shelter in Oakland, California that provides support services to at-risk, runaway and homeless youth in the East Bay, ages 13 to 18. Services are provided in a manner that is nurturing, caring, safe, non-judgmental, positive, friendly, structured and culturally competent, that builds trust, respect and hope in these youth to bridge their transition to adulthood and to exit the street life. Become part of this dream come true! $1,000,000 will make DreamCatcher’s dream come true - completing renovations for a new DreamCatcher Shelter - doubling the number of youth we can serve. Our Goal: $1,000,000. Donations: $387,500. Outstanding: $612,500. Check often for updates! So far: 40% of the DreamCatcher Dream is coming true. This new DreamCatcher building is a Dream that needs to keep on giving and that’s what we’d like to tell you more about so you decide to be part of the Dream by becoming a DreamCatcher “Dream Maker”. The DreamCatcher Shelter currently hosts an 8-bed facility that is rented. Our 8-bed capacity doesn’t meet the need to serve the increasing number of homeless and runaway youths. The ever increasing rental price of this building is quite high and requires federal, state and local foundation grants and donations. What DreamCatcher needs is a larger facility and needs to own the facility to overcome increasing rental payments. With recent developments, these two needs can be accomplished. All that is needed is your help. We’ll tell you more about it! The New Facility Dream is Already Starting to Come True! 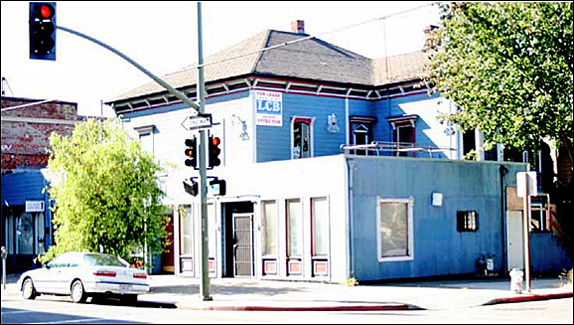 A building, right next door to the current facility, has been donated to DreamCatcher by Alameda County Health Care Services Agency and former Board of Supervisor Alice Lai-Bitker. With the required renovations this building will increase our shelter capacity to 14 beds and expand services to include a separate short term safe placement for sexually exploited minors. With specified renovations, DreamCatcher will be able to get more youths off the streets and benefit these in-need teens and, in-turn, improve our community at large. DreamCatcher’s Dream is to raise $1,000,000 to complete the new DreamCatcher double-capacity facility that we will renovate to serve Bay Area homeless youth. We’ve already raised almost $400,000 (40%) towards the $1,000,000 - but we need your help.